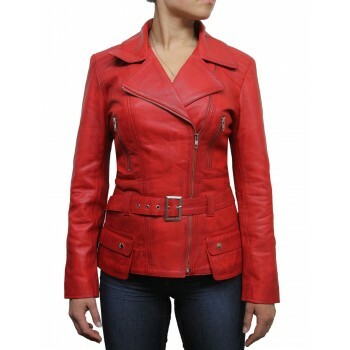 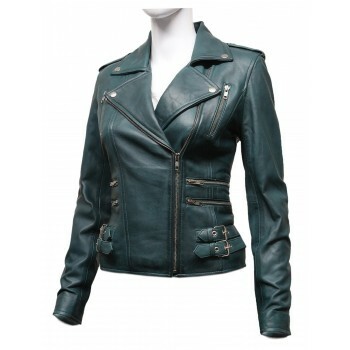 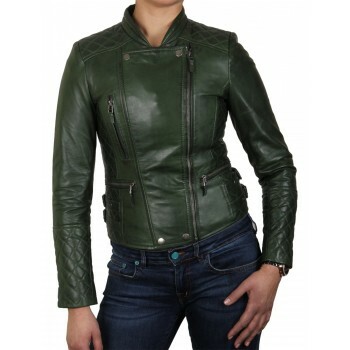 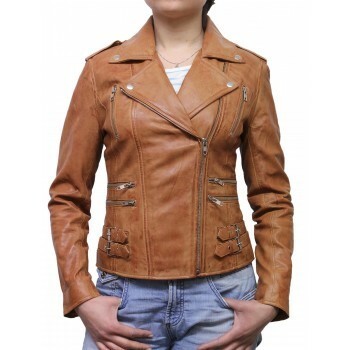 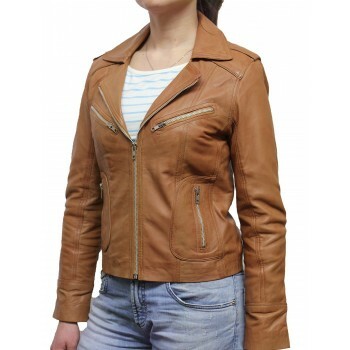 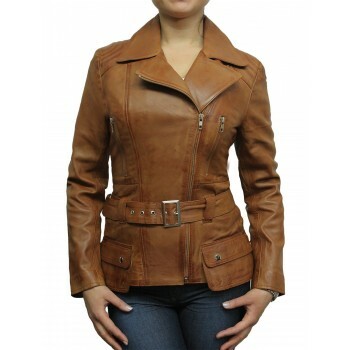 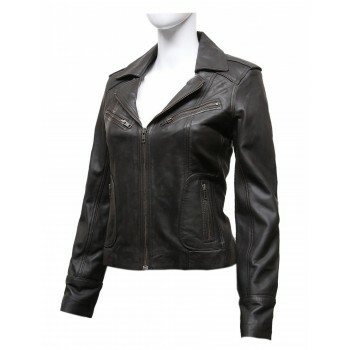 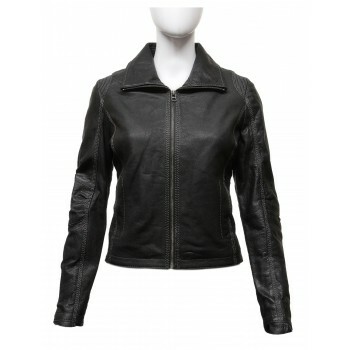 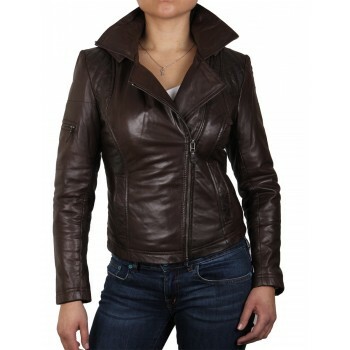 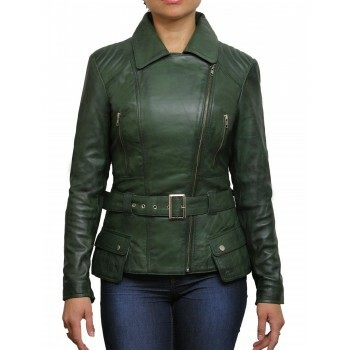 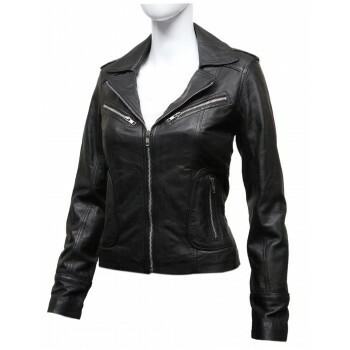 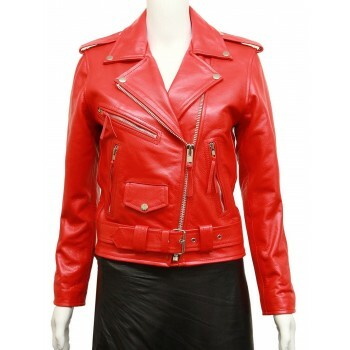 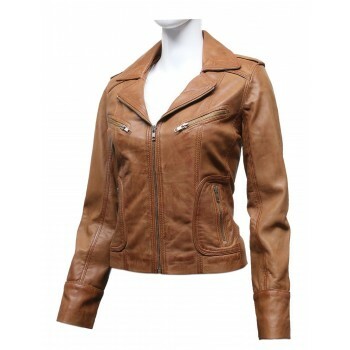 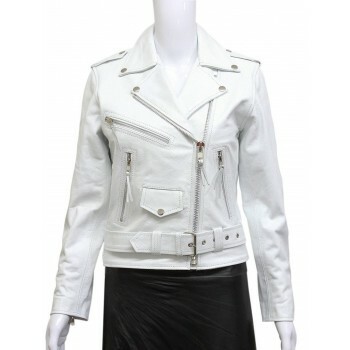 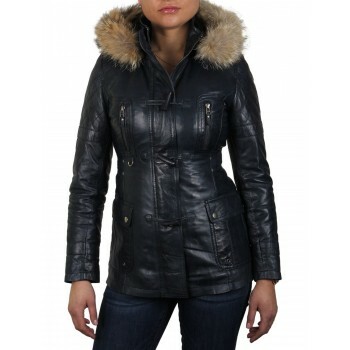 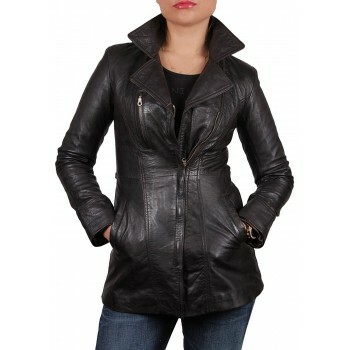 A classic Women vintage leather biker jacket with dual effect of having twin style as two front running zips one through centre and other slightly off centre.Black assymetric leather biker jacket in soft lamb's nappa. 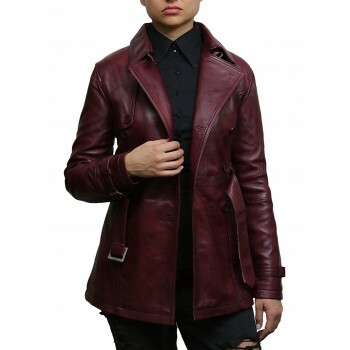 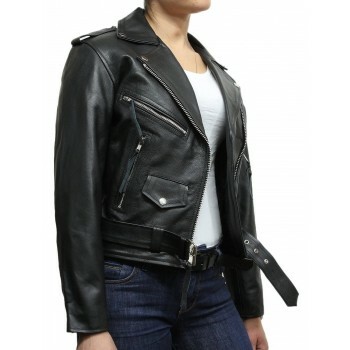 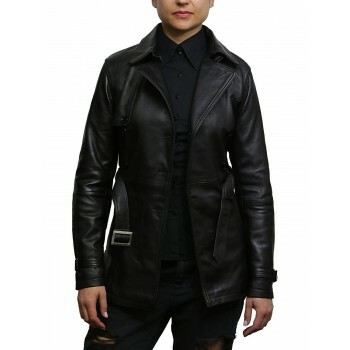 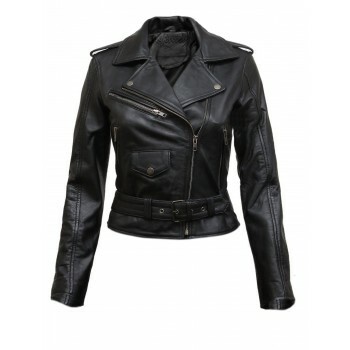 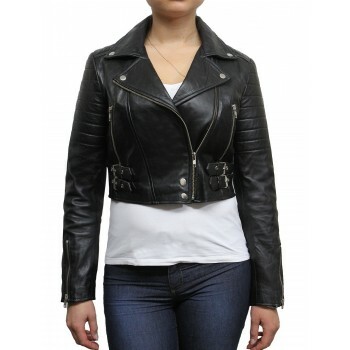 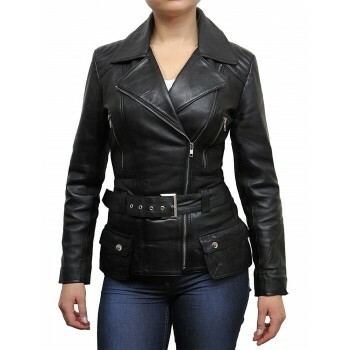 Antique black colour with quality stitch and detailing makes this a designer.Women's black leather biker jacket in new collar less style with diamond quilt stitching. 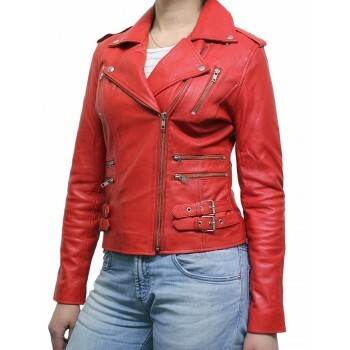 Slim fit style biker jacket. 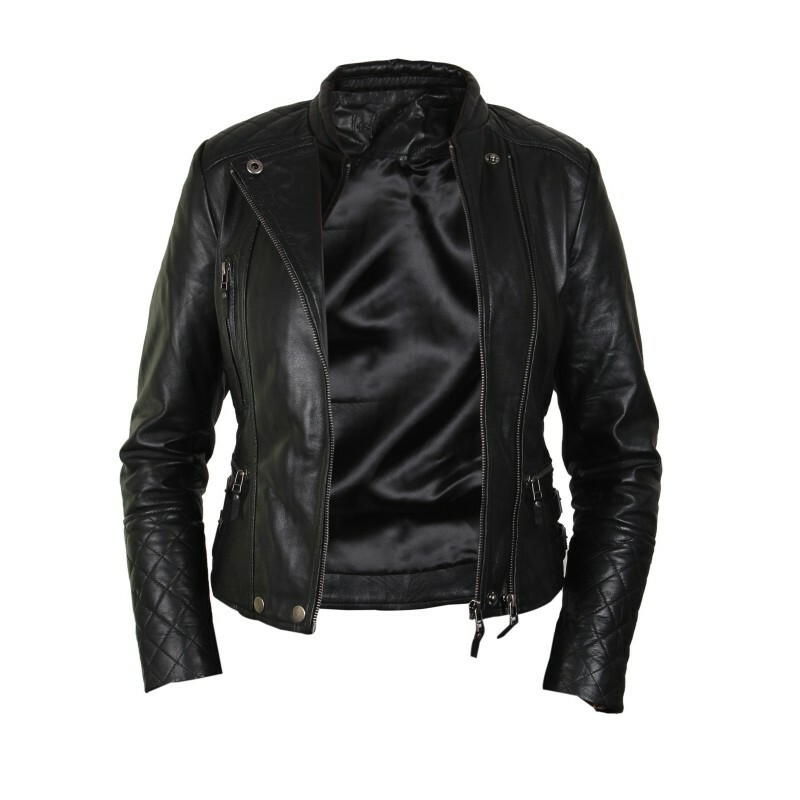 Crafted from soft lamb's nappa. 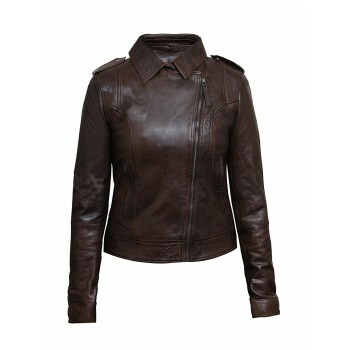 Centre zip fastening,off centre zip avilable . 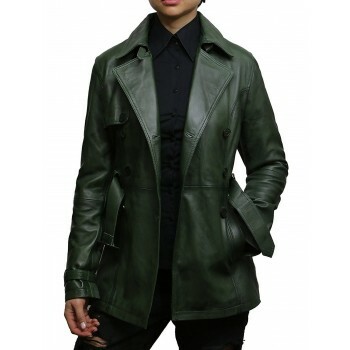 Vertical zip pocket on right side of the chest. 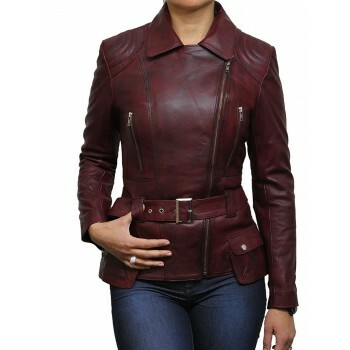 Horizontal waist pocket on each side with elegant zip. 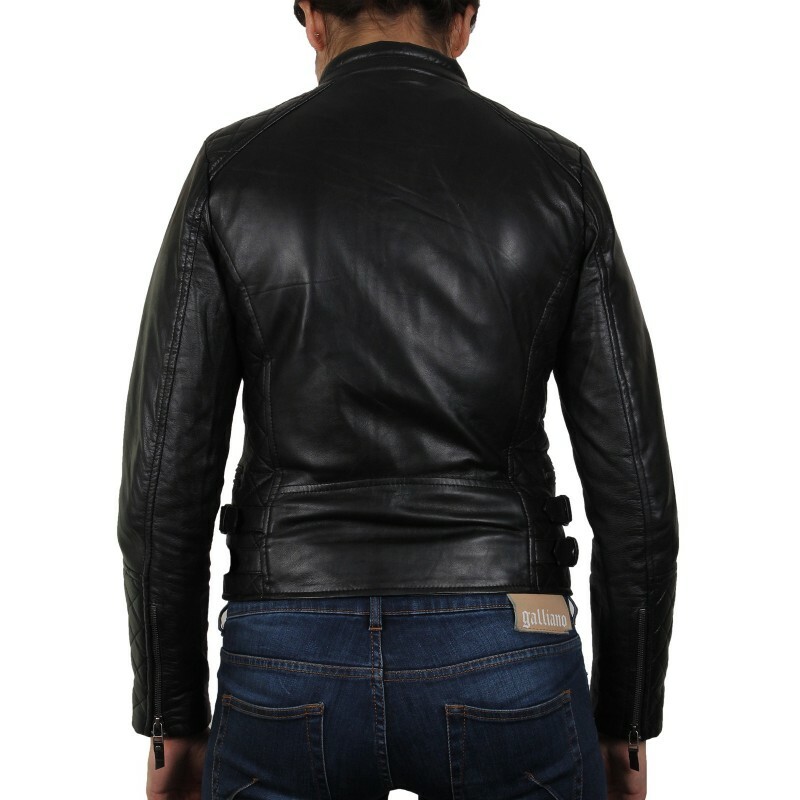 Diamond quilt stitching on the shoulders,both sides and cuff. 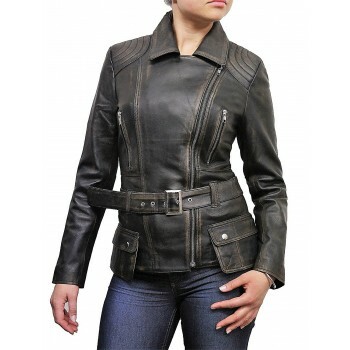 2 waist adjustments belts avilable on each side.